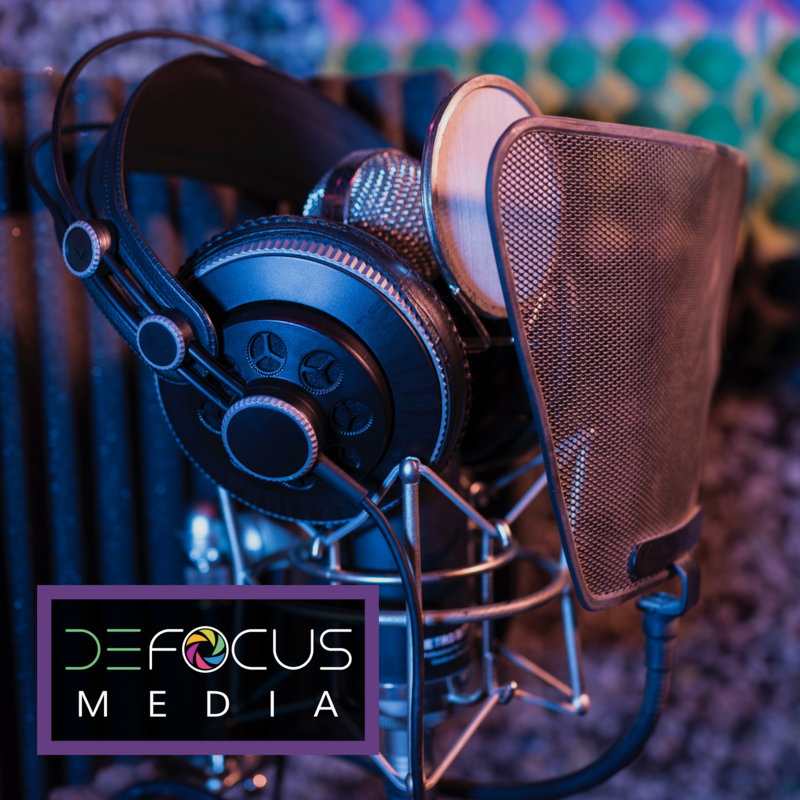 For patients diagnosed with keratoconus, accepting how little can be done with modern medicine to protect and preserve their quickly declining vision can be the most devastating part of the diagnosis. Our current treatment model in the world of keratoconus goes something like this: try to keep going in contact lenses as long as possible, and when even those can't do the job anymore, time for a corneal transplant. Many patients live with a possible visual doomsday hanging over their head -- that day where contact lenses just won't work anymore and they might have to accept that they are going blind or needing major, risky surgery. Luckily, new technologies are being researched and explored that can stabilize the cornea and help prevent further vision loss. Both corneal Intacs and corneal cross linking are currently performed in the United States, and both can help stabilize the degenerative process behind keratoconus. Unfortunately, not everyone is a candidate for these surgeries. Advanced keratoconus patients whose corneal curvature is steeper than 60D or whose cornea is thinner than 350 microns wouldn't be able to pursue either of these surgical options due to the risk of complications. But new research by Dr. Gerrit Melles in the Netherlands and Dr. Jack Parker with UAB has demonstrated a possible intervention that would stabilize the corneas of even these higher risk patients: Bowman's layer transplantation. Keratoconus occurs due to a weakening of the corneal tissue, causing the cornea to increasingly protrude outwards into higher and higher amounts of irregular astigmatism. Bowman's layer is an extremely thin (between 8-14 microns thick!) 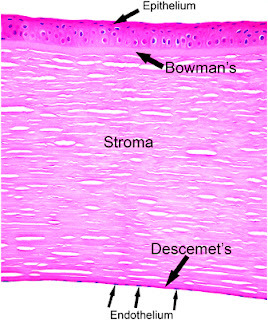 layer of collagen fibrils that lies between the corneal epithelium and the corneal stroma. 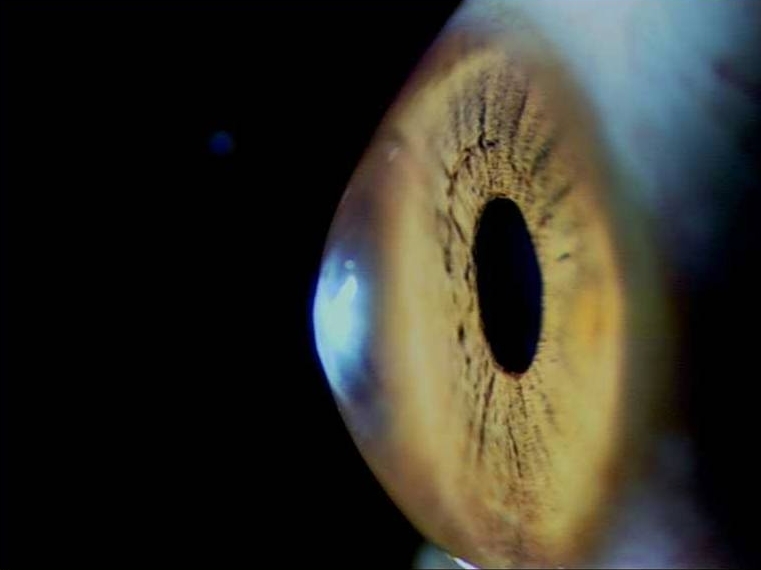 It is ideal for transplantation because it is an acellular tissue (unlike other corneal layers). making the risk of immune response or rejection minimal. 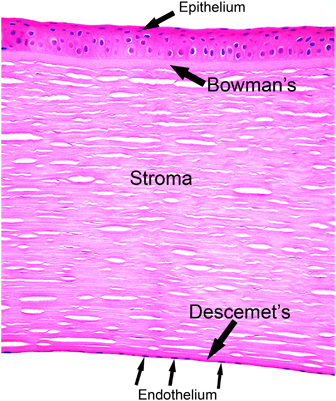 And because only Bowman's layer is removed and exchanged, there is no need for sutures or any of the complications that arise with their use. Dr. Parker reported successful results from a study of 22 eyes with advanced keratoconus who underwent Bowman's layer transplantation and were followed between 2-3 years. In 90% of the patients, flattening (or stabilization) of the cornea occurred -- data that suggests equivalent effectiveness as compared to corneal cross-linking and corneal Intacs. The average best corrected vision in contact lenses remained unchanged before and after surgery, but a big improvement was seen in the average best corrected glasses vision before and after surgery. The average patient's best glasses corrected vision had a mean of 20/400 vision pre-operatively, which improved to a mean of 20/25 vision in glasses post-operatively. While the sample size is small, the results do look very promising and will provide another alternative for intervention earlier in the keratoconus process before vision becomes so devastated that a full thickness corneal transplant and all of it's potential graft rejection risks must be pursued. Want to see the surgical procedure? The video bellow is of an actual transplant by Dr. Melles and his team in the Netherlands.